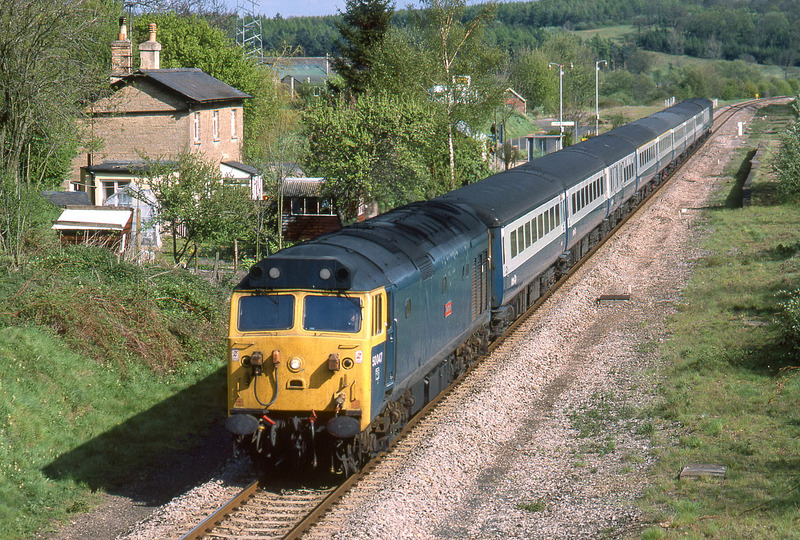 50047 Swiftsure races through Hanborough station on 1 May 1982 with the 15:00 Paddington to Hereford service. This loco was one of the few to emerge from refurbishment (note the headlight) still in rail blue livery. Note the redundant down platform on the right, disused since the line was singled in 1971. Interestingly the station was at this time known as Handborough. Only recently have the railways come into line with most maps and road signs by dropping the D in the name of the village.